Here's how you can preview your Email Blasts and Meeting Invites in the Outreach Center and send yourself a test message. 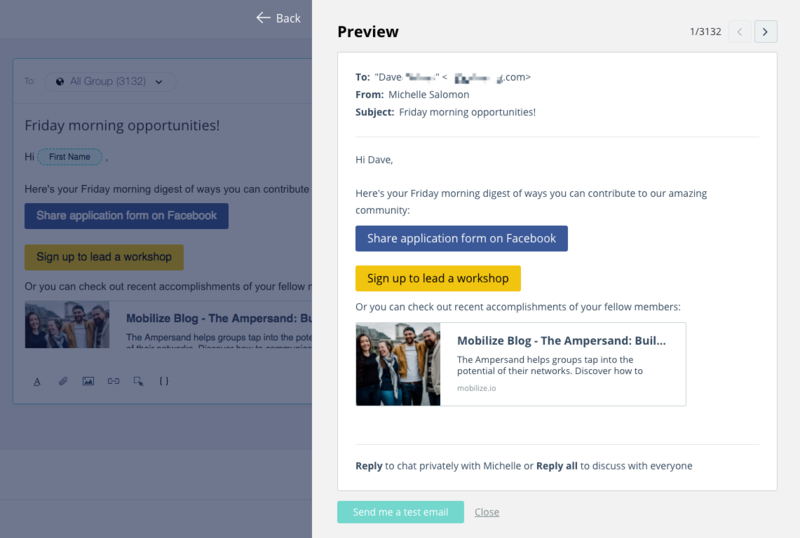 You can preview an Email Blast or Meeting Invite in the manager Outreach Center. After you've composed your message, click the down arrow next to Send, and then click Preview. Next, the preview window will open up so you can review how the email will look to a sample recipient. You can also send yourself a test email. Today we don't have preview post in the Lounge - rich formatting and preview are coming soon!